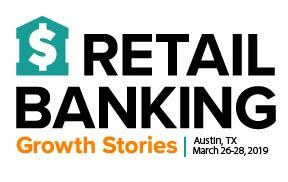 Austin, March 26th, 2019: Given the rapid rate of new innovation M&T Bank recognized the need to align frontline staff with mobile and digital banking initiatives. M&T will share how they are providing guidance to customers about exciting new digital capabilities at the bank. Employees across the contact center and branch network required additional knowledge to effectively deliver on digital banking customer needs. Brandon Horbowicz, Vice President & Senior Sales Strategy Manager, Retail Enablement, will share how M&T used Horizn’s platform to equip BOTH the bank’s employees and customers with the knowledge needed to become digitally confident and to increase digital adoption. London, December 10th, 2018: Horizn is pleased to share that the Nationwide Building Society Colleagues Discover Mobile platform, powered by Horizn Knowledge Platform, led Nationwide Building Society to win the Best customer-focused cultural transformation or staff participation initiative award at this year’s prestigious Financial Innovation Awards. This event was hosted by The London Institute of Banking & Finance, in London. In 2005, Janice Diner, a creative director at a Canadian ad agency, fell in love with tech. In 2012, she left the ad agency world to start her own company, Horizn, to accelerate the adoption of mobile innovation using SAAS tools. After attending investor meetings, it became abundantly clear to Diner that raising equity as a startup without a male CEO was not in the cards for her. In this Forbes feature, learn how Horizn’s CEO funded the growth of a successful fintech company that’s now worldwide. The attendees at Digital Banking have spoken and the votes are in! After viewing a series of innovative product demos at the 2018 event in Austin, attendees were asked to vote on who they felt was best in show. Digital Banking 2018 is the leading and largest digital banking event in the industry, covering innovation in financial services for consumer and commercial customers around mobile, digital, AI, payments, RegTech, data, blockchain, API, channel and technology strategies.